I see none of the reviews here are from a recent version, and because the product has been around for so long, there are a lot of bloatware complaints and complaints that it is not the same as it used to be. In my case, I have version 15. I have been a Picasa user for 8 years, and finally had to give it up because with approximately 15,000+ images, I couldn't keep track of them in Picasa any more. I had long since given up on labeling the images in Picasa (too many duplicates), and was relying purely on a chronological file naming system. Which meant that any images that weren't taken with my Canon Powershot camera (and weren't in that folder hierarchy) wouldn't ordinarily be found. Picasa was so full of duplicates, and the navigator on the left side of the screen contained only terminal directory names, not paths. It was just a mess. I couldn't provide my husband with copies of all the photos I took of his art, I couldn't find head shots for artist biographies or for social media profiles, I couldn't find individual photos that I knew I had taken some time but couldn't remember when or the context - nothing. So, last month I set off in search of a free tool to replace Picasa. I couldn't find one. 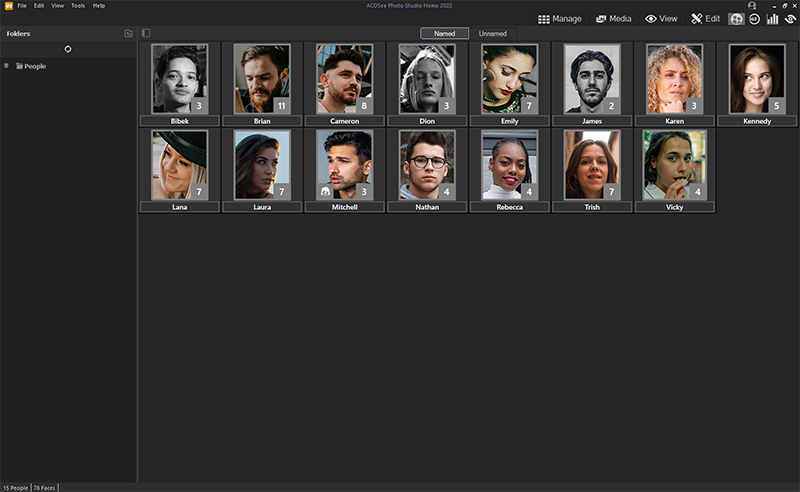 I wanted something with a fairly uncluttered user interface, with some basic editing tools but with the primary strength being the ability to *organize* my images easily, and then to find them easily once they were organized. I also wanted to be able to browse them easily, but I did NOT want a completely filesystem-based browser. My computer has a lot of stuff on it that is NOT images, and it's too hard to find stuff that way. Enter ACDSee. It got high marks for organizational abilities and ease of use on Top 10 Reviews, so I gave it a try. So far (I've had it about a month), it seems to be the answer to my prayers. I was easily able to import image files from my laptop hard drive and exclude nonimage files and the ones on the external hard drives (backups). The GUI is extremely flexible and intuitive, and well laid out for browsing images a directory at a time or by search criteria, for categorizing them singly or multiply, and for doing simple things like rotating the images. I chose the "tile" format and was able to configure what file information I want to show up in the tiles. I've set up a huge number of categories in a hierarchical fashion, and I can easily assign images to multiple categories. I've got categories for whether the image is an original vs a derived image (duplicate or edited), my husband's art (with subcategories) or other peoples' art, family, friends or performers, home, work, school, parks, travel, neighborhood, other people's homes, businesses where my husband's art is located, entertainment venues, etc., different kinds of events, projects, items of interest, automobile, health - you name it. I can also embed the organizational information into the image files themselves, so that when I copy them to somewhere that my less-than-computer-expert husband can get at them without accidentally erasing them, he will be able to search them, too. I don't have any need for colored flags at this point, and may or may not be interested in rating them, but those features don't get in the way. I may later go back and translate the categories into keywords, so that other (simpler) programs that can't use ACDSee's "categories" can still search them. I haven't yet tried exporting photos for uploading to web sites. It may well be that other programs are better for that. But that wasn't my highest need at the time that I went searching for an application. Organization was, and this program is great for that. No thanks ACDSee I don't like this at all. I still use the old 3.0 version of this program and it's fine for what I need. When you get too fancy, you start messing it up. And as for Google Picasa, it's not my cup of tea either. This software is obsolete. There are many free alternatives that does the same, even better, like Google Picasa, or even the built-in features of the latest Windows versions like Windows Vista or Windows 7. Version 12 is so much better then 11. It needs few more tweaks here and there but I like the progress. ACDsee compared to COREL Paint shop Pro x3 is like a headache. ACDsee photo viewer is nice, but editor is very uncomfortable ..
+0.5 star because of price. ACDSee is unfairly compared to Photoshop - which it isnt, and it shouldnt be either - its a photo manager - not a photo editor... the beauty of this product is the fact that it can rate scale and search images / batch processing and many many more features that honestly you cant get with a free product like Picassa or Gimp. No, I'm sorry. The paid 5-star reviewers (quite a few of them here on FileForum nowadays) make a fatal flaw. They assume no one else try the latest versions and want to write their opinions. And the duped people who bought the latest versions will rate it 5 stars just beause they bought it and doesn't want to look like they've made a mistake. The latest incarnations of ACDSee are not worth 5 stars. It's a terrible editing and Photoshop wannabe, and at the same time a slow and horribly bloated browser. What's worth 5 stars with that? GIMP or Paint.NET are free if you want to manipulate or edit pictures - and they're good at it. XnView or a million other quick and light picture browsers are also free. Who in their right mind would pay for something that is just bad at both? This might sound like "added value" - but it's not in this case. It started out as a software to browse pictures and was, hands down, the best. Version 5 is still one of the best picture browsers ever made. Fast, light and with enough features to make it a Must Have software. After that they just added more eye candy, more features and - let's face it - more bloat. ACDSee takes so long to load nowadays they had to add a new "quick" browsing mode to try and quiet their own paid customers who complained! I'm sorry, but this is not Photoshop but at the same time it is not a simple picture browser either. It's something in between and unfortunately neither is any good anymore. One is too limited to be useful, the other is too bloated and slow. But the GUI is pretty. Fantastic for what it's built to do (which is SO much more than a file viewer). Better than all the freeware apps - just so much more polished and complete. The tag handling could be a bit more elegant but after all it's a great and fast tool to organize huge photo collections. I think most of the idiots on here haven't tried versions 9-10. If they had, they would know how much the software has improved by reverting back to speed as the primary focus. 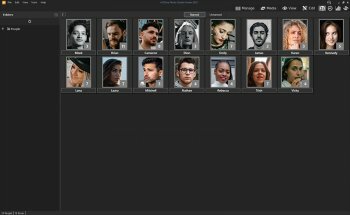 I will rate the software for what it is, a powerful tool for professionals or people who have MANY photographs to manipulate, organize and keep track of. In my opinion, it is too expensive for what I need, so I stick with XNView (which I give a 5/5). But everything ACDSee is supposed to do (which is most everything), it does quite well. 4.5/5 stars here. Cool, it takes only few years and 7 versions to do again what was supposed to do.... I predict that version 23 will be able to load images again that fast. Prefer XnView and lots of other FREEWARES ! Good, but Xnview is same or better, and freeware.